At this point you could put a different type of smart ring on every one of your fingers if you wanted. 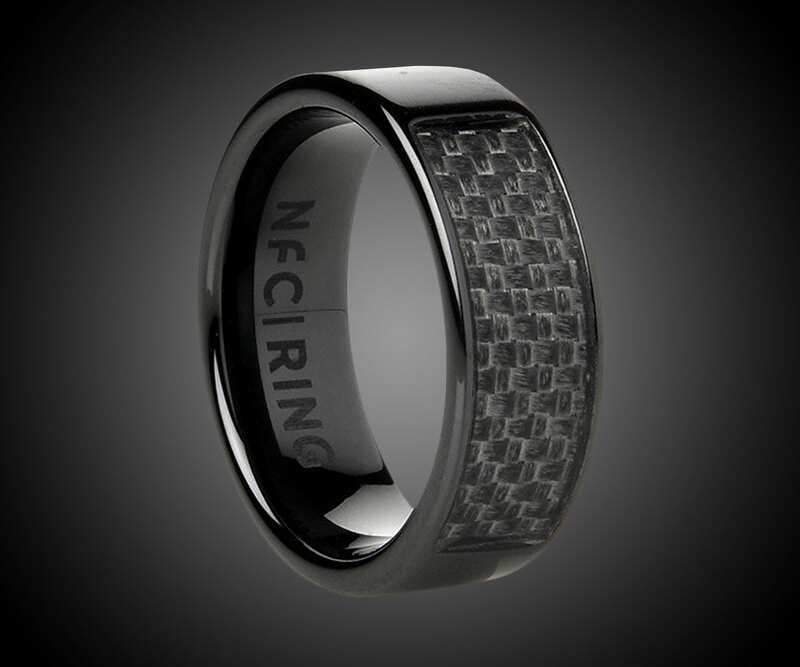 The NFC Ring is a programmable piece of smart jewelry you can wave around powerful wizard- or dismissive CEO-style (depending on which you want to be when you grow up) to unlock doors and mobile phones, transfer data, and link people. 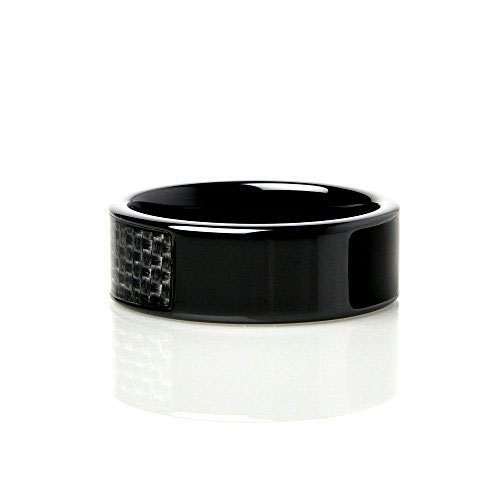 Shown here in Ceramic Eclipse, the NFC Ring comes with a pair of NFC tag inlays sealed inside. You can program them individually to activate 2 different NFC-enabled devices, or pull up information / settings for devices. In addition to locking / unlocking doors and smartphones, you can use the ring to control applications, or share information, such as your contact details, with a fist bump. 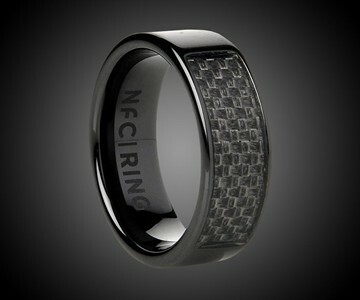 The Ceramic Eclipse NFC Ring has a glossy black finish and top panel stylized to look like carbon fiber. 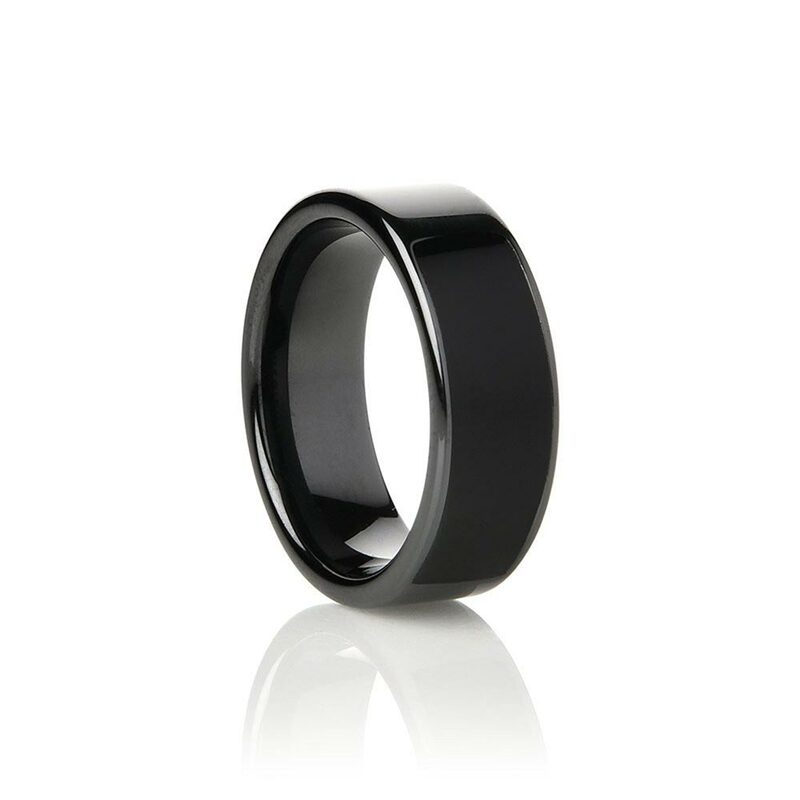 For those looking to fill up the rest of their hand, check out The Ring Clock, the gesture-controlled Ring "Shortcut to Everything", the Motiv Ring fitness and sleep tracker, and the ORII, a voice-powered bone conduction smartphone ring.